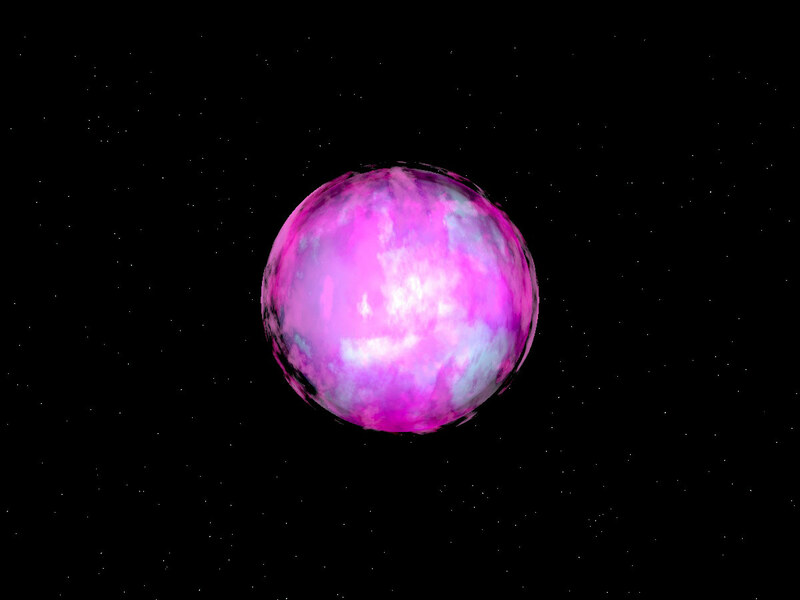 Artist’s impression of the surface of HE2359-2844. The very high temperature (38000 degrees Celsius) makes the surface bluish in color. Lead- and zirconium-rich cloud layers covering parts or all of the stars might be visible using specially chosen filters with ground-based telescopes. Images created using POV-Ray by C. S. Jeffery. While studying subdwarf stars, a team of astronomers discovered two unusual stars with extremely high concentrations of lead in their atmospheres. They estimate that the lead layer could be about 100km thick and weigh some 100 billion tonnes. In a paper published in the Oxford University Press journal Monthly Notices of the Royal Astronomical Society, a team of astronomers from the Armagh Observatory in Northern Ireland report the discovery of two unusual stars with extremely high concentrations of lead in their atmospheres. Naslim Neelamkodan, Simon Jeffery, Natalie Behara and Alan Hibbert are studying the surfaces of small hot stars, known as helium-rich subdwarfs. They are already known to be peculiar because they contain much less hydrogen and much more helium than normal. Three years ago they discovered one with a very high surface concentration of zirconium – better known for making false diamonds. Now studying a group of similar stars, they have discovered two which have surfaces containing ten thousand (10,000) times more lead than is present on the surface of the Sun. The discoveries were made in two stars, known as HE 2359-2844, 800 light years distant in the direction of the constellation of Sculptor and HE 1256-2738, located 1000 light years away in the constellation of Hydra. The astronomers studied the stars using observations from the archives of the European Southern Observatory’s Very Large Telescope in Chile.The light signatures, or spectra, of both stars showed a few features which did not match any atoms expected to be present. After some detective work, the team realized that the features were due to lead. With atomic number 82, lead is one of the heaviest naturally occurring elements; in the Sun there is less than one lead atom for every ten billion hydrogen atoms. At around 38000 degrees Celsius, the surfaces of HE 2359-2844 and HE 1256-2738 are so hot that three electrons are removed from every lead atom. The resulting ions produce distinctive lines in the star’s spectrum, from which the concentration of lead in the atmosphere can be measured. Using the same technique, HE 2359-2844 was also found to show ten thousand times more yttrium and zirconium than on the Sun. Along with the zirconium star, LS IV-14 116, these stars now form a new group of ‘heavy metal subdwarfs’. The team believes that these heavy-metal stars are a crucial link between bright red giants, stars thirty or forty times the size of the Sun, and faint blue subdwarfs, stars one fifth the size, but seven times hotter and seventy times brighter than the Sun. A few red giants lose their thick hydrogen skin and shrink to become hot subdwarfs, or nearly-naked helium stars. 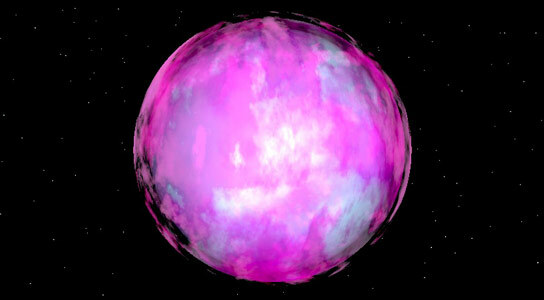 As they shrink, conditions become favorable for the pressure of light from the helium stars to act on individual atoms to sort the elements into separate layers, where they are concentrated by a factor of ten thousand or more. Like water vapor in the earth’s atmosphere, or layers of different density in a rainbow cocktail drink, a layer of heavy metal at just the right height and concentration can form clouds that become detectable from Earth. The team suggests that the new discoveries are rare examples of these layers coming into view and estimates that the lead layer could be about 100km thick and weigh some 100 billion tonnes. Naslim and co-workers will continue to search for evidence of other heavy metals forming cloud layers in these rare stars, and to look for more information about how light pressure sorts the chemistry of helium-rich subdwarfs over time. For such rare stars, it is still not certain how they form, and what they will eventually become. 1 Comment on "Astronomers Discover Unusual Stars with Extremely High Concentrations of Lead in Their Atmospheres"
The study of heavy metal sub dwarfs like HE2359-2844 clearly shows that atmosphere of star is related to its temperature on the surface.We know that our sun has got a surface temperature of about 6000 degree celcius when the referred star has got a temperature of 38000 degree celcius. Hence heavy metals are peeled off and they are thrown out in the atmosphere. How nice it is to learn that spectroscopic colour of the star is indirectly a barometer to read its atmosphere! Thank You.